Our forum member Walt Phenix Crowley has been hard at work on yet another Star Wars helmet, this time it's a Shepperton Stormtrooper bucket from A New Hope. You can bet that it is soon to be converted into a Sandtrooper. Click below to view his progress! Mos Eisley News Brief: How long could Luke survive? UPS & Postal Shipping Rates Go Up Starting January 4th, So Our $7.99 Shipping Is Staying One More Week Thur January 10th! As Many As You Want Just $7.99 Shipping! Get All The Details On $7.99 Shipping Here! If You Haven't Ordered From Us Yet, You're Missing Awesome Customer Service! See What Collectors Are Saying About Us! Check Our Pre-Order Pricing! You Won't Be Disappointed! Clone Wars Pre-Order! Wave 11 or 12 Sealed Case $99.99, Wave 11 Set of 4 Figures $54.99, Wave 12 Set of 5 Figures $63.74. Legacy Collection Pre-Order! Wave 12 or 13 Sealed Case $99.99, Wave 12 Set of 8 Figures $69.99, Wave 13 Set of 6 Figures $59.99. Check Out Our Pre-Order Pricing Here! Sandwatch Sneak Peek: New "badges" are NOT what they seem! "I just got back from the San Jacinto, California Walmart clearance aisle, which is incidentally over near lawn and garden. They have the Walmart exclusive AT-ST marked down from $43.96 to $20.00. They had about 20 units remaining. They also had the Walmart exclusive Trooper and Dewback marked down from $30.00 to $15.00 with about five units on the shelf. Get out there and grab 'em up before they are gone." Sandwatch Sneak Peek: What the ??? We have been forwarded another image from our ever-reliable Gorkoracing that at this time has us a bit stumped. A giant Captain Rex with electronics maybe? One thing is for sure, it's pretty big! With a tape measure, it reminds me of the old Shogun Warriors minus the wheels on the bottom. I guess I'm really showing my age now! For more check the the forums and check out the five more of the "stinkin" badges! United We Find. Update 1/4: We have learned from our friends at Banthaskull.com that this might be a part of the "Megabattler" assortment thanks to a Target Report they've just obtained. "I hit some stores looking for a post-holiday clearance deal. I've seen reports of the Target Rancor going for $25, but I found mine for $35. Not bad, but I guess you need to shop around. More interestingly, I also found some basic figure two-packs at Target. They ring up at the price of a single figure. There were some Legends bundled, but I mostly found Cantina and ROTS wave bundles. Sweet deal. Keep your eyes open. United we find." 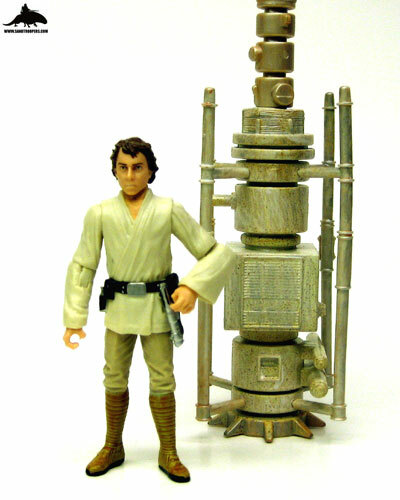 The team at JediTempleArchives.com have put together a nifty special report on what vintage figures have not been updated in the modern era. Check out the special report and enjoy the table they put together featuring comparisons and perhaps we can join them in a little unity to encourage Hasbro to make the rest this year! For more check out the full report. Sandwatch Sneak Peek: New 2010 Pack-ins? We have been forwarded several images from our good friend Gorkoracing that we suspect are the new pack-ins for basic 2010 Hasbro figures. I'm just not sure if the badges are half as cool as the Build-a-Droid concept. For more check the the forums and let us know your thoughts on this possible change. Sandtrooper Scalperhunter1 Reports: Holy Clearance Troopers! "Check out the clearance section at Toys R Us fellow troopers. This morning I found the Dagger Squadron B-Wing Fighter for $8.55. There was only one left so I snagged it and quick. Hopefully TRU will have some good deals for the rest of you. Happy New Year Troops!" Happy New Year to everyone! We've had a great 2009 with many of you, and we have high hopes 2010 will be even better. To kick start your resolutions, we have tons of new Star Wars Vintage carded toys. The Commander Cody Sideshow 1:2 Bust is finally here and will make any geek quiver in its presence. Who you gonna call? Brian's Toys, because we have the Ghostbusters 6" Winston Zeddemore available! For more of our great selection visit our newsletter. Update from Gentle Giant: New Lando minibust and Scaled Jango Helmet! 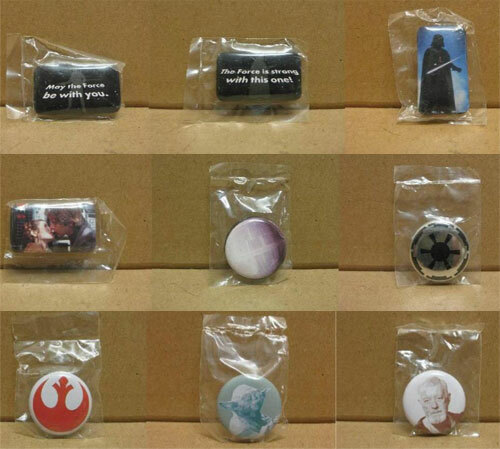 We have been forwarded several images from Gentle Giant Ltd. featuring a couple of upcoming Star Wars products. First up is the Lando Calrissian minibust, you can bet your Falcon this has been in demand for quite some time. Also they have photos and information regarding the new Jango Fett scaled replica helmet. Both of these products will ship Spring 2010. For more check the photo gallery and pre-orders are available at any and many of our featured sponsors. Update: We have added a complete gallery of all the photos to date of this project! You can see exactly how big it is going to be. Mos Eisley News Brief: Clone Wars One-Hour Special this Friday! 15% Off Sale: Save 15% on everything except New and Preorder / Backorder items from now until mid-day on January 1st, 2010. Thousands of toys and thousands of Graphic Novels are included in this sale. Take a spin through your favorite menus to take advantage of the 15% off pricing. Animated Maquette: This 10-inch tall maquette is done in the animated style and includes Boba Fett and his quarry, Han Solo, who is encased in Carbonite. Priced at $116.99, this piece would be great either on it's own, or displayed with other Star Wars Animated pieces. Scaled Replica: Gentle Giant's first release in a new line of scaled Star Wars helmet replicas, this version of Jango Fett's helmet is a 45% scale version that includes smoke-tinted lenses, a display stand and more. We've got this helmet listed at $49.99, a savings of $10 off the MSRP. Lando Calrissian Minibust: This new bust from Gentle Giant immortalizes Bespin City's Administrator for your collection. Priced at $49.99 ($10 below MSRP), this bust has Lando ready to take control of the situation, with his pistol ready. Battlestar Galactica: The 7-inch P/X Cylon Commander from the Razor era is decked out in gold armor, and its style bridges the vintage and new cylon versions. Priced at $13.99, this exclusive Cylon Commander is waiting to lead your troops into battle. We have another Sandwatch Sneak Peek for that was just forwarded from our old pal Gorkoracing. 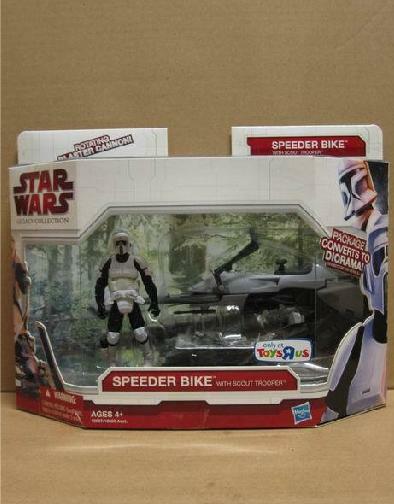 The big fans of Return of the Jedi will be happy to see the Speeder Bike is making another return with the Scout Trooper, and it appears to be a Toys R Us exclusive. For more check out the packaged photo of the latest. Don't forget to stop by the forums and read about the others that are on the way! Sandwatch Guides: Resurgence of the Jedi Battle Pack Added! 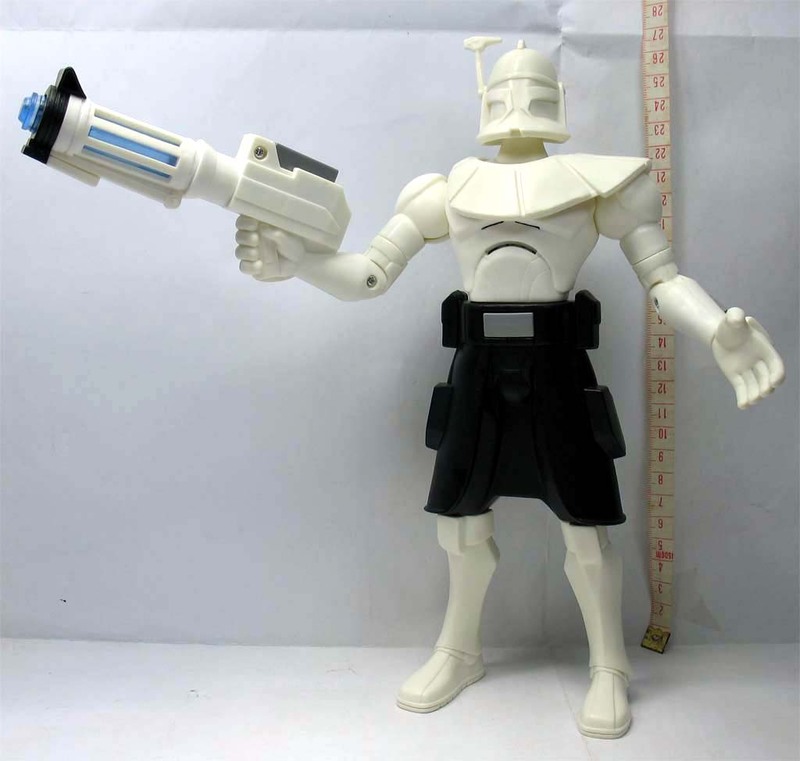 We update our Sandwatch Guides with another Battle Pack that is showing up at retail locations throughout the galaxy. While it's no big secret my blood pressure surges nearly every time I see Hasbro doing the same thing over and over again, there's something about the Resurgence of the Jedi Battle Pack I really like. Perhaps after the wind-blown hair-don't from back in 2007, any Luke Skywalker is an improvement. Is there anything else in this set that makes it worth picking up? For more check out the latest and thanks again to Boba Binks for the Resurgence of the Sandtrooper!